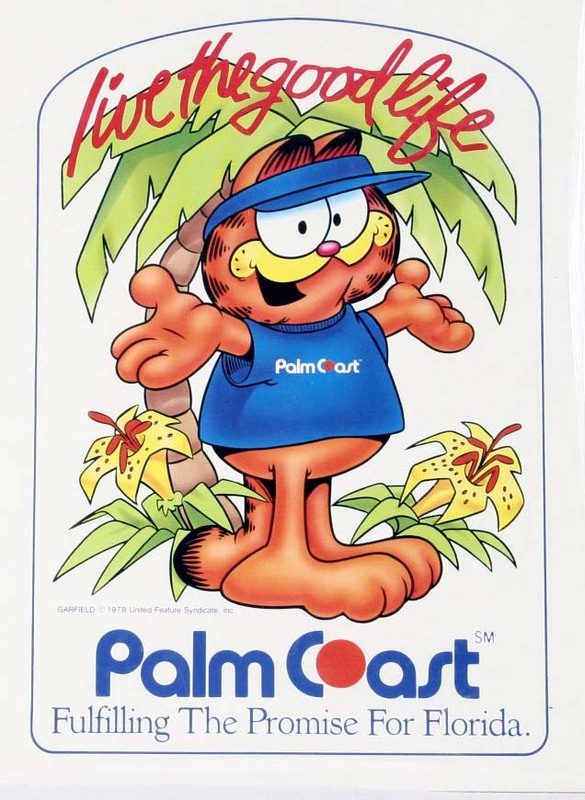 Garfield 'Welcomes YOU to Palm Coast'. 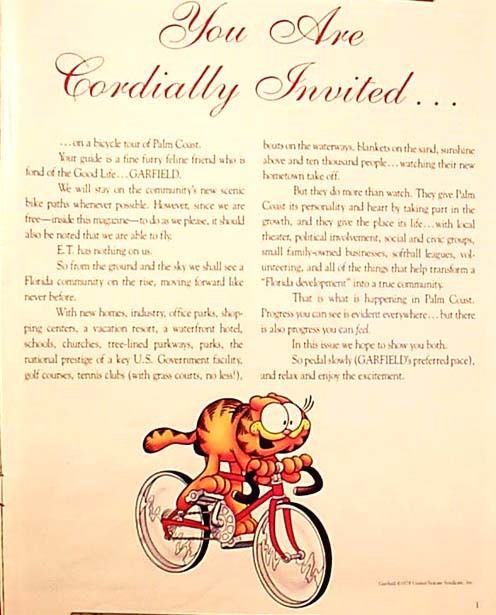 Below are some advertisements using our Palm Coast Mascot - 'Garfield'. ! 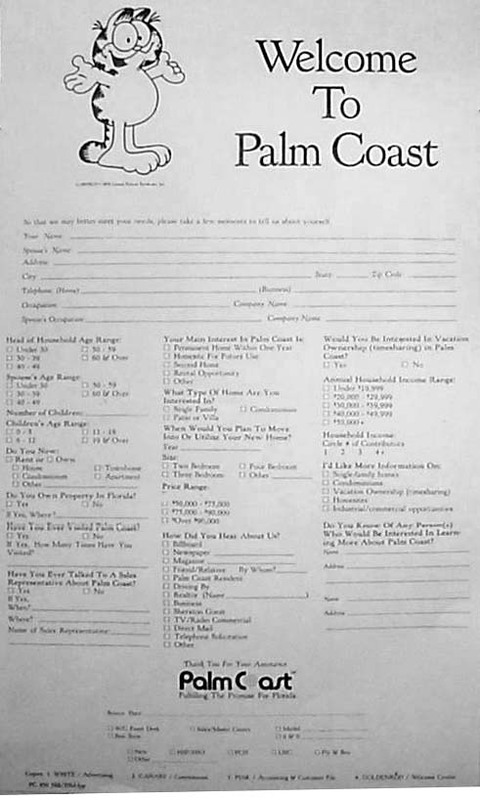 We will remain Stewards of all our Heritage and Historical Resources, hoping for a Certified Local Government like almost all Florida Leadership Cities already are; hoping for a Museum like Flagler Beach already has.